Meet Jack Laidlaw, the original damaged detective. When a young woman is found brutally murdered on Glasgow Green, only Laidlaw stands a chance of finding her murderer from among the hard men, gangland villains and self-made moneymen who lurk in the city's shadows.Winner of the CWA Silver Dagger. 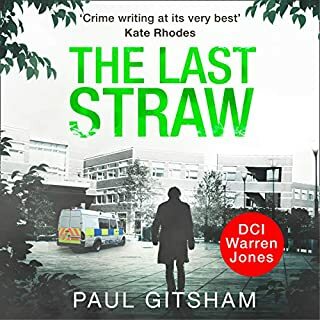 When 14-year-old Zoe Johnson doesn't come home on a Monday night in early December, the alarm bells in Kings Lake Central police station do not ring straight away - after all, she's from the Dockmills, one of the toughest estates in the town. 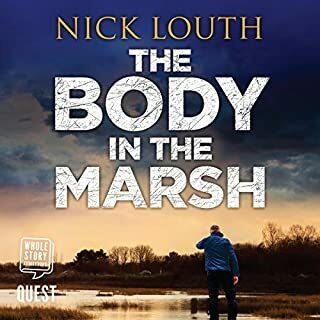 But for Detective Sergeant DC Smith, due to retire in just three weeks' time, there are some strange echoes of the case that has haunted him for the past 13 years. 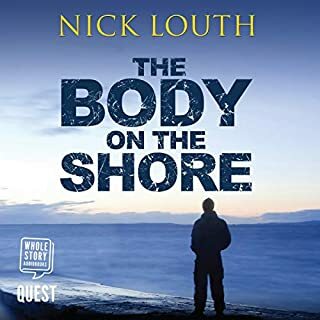 Maybe it's simply his over-developed sense of irony, or maybe, in his final days as a police officer, Smith must look once more into the eyes of a serial killer. British cop DC Smith is likely the best developed character of any series I have ever read/listened to. DC Smith is so thoroughly human in the very best ways possible. This is a very special and wonderful series. It appears that Book 8 will likely be the last. To author Peter Grainger I say thank you for one of the most exceptional series available today. I have enjoyed each and every novel. Gildart Jackson's narrations have been almost as good as the novels. For those who are not familiar with this series: I have written reviews of all eight novels. Every one is exceptional. If you like modern detective thrillers, there are none better than the DC Smith series. 3:30 in the morning and I just finished this. Wow! It was fabulous. I urge readers to avoid all reviews until it’s finished. You don’t want even a hint of a spoiler. Also, this should not be the first DC Smith book anyone reads. Take them in order. Smith is counting down the days until his retirement. The team is investigating a missing girl. It has similarities to one of Smith’s previous cases. It will be one heck of a finale to Smith’s police career. The last hour of the book was unputdownable, if that’s a word. I’m glad I was listening to the audiobook because Gildart Jackson’s pace was perfect. It instilled suspense and kept me from reading too fast to get to the end. The narration is worthy of 5 stars on its own. As usual, Grainger’s writing was brilliant. Smith’s dry humor is one of my favorite parts of this series. The ending ... I’m still emotional. That’s all I’ll say. More introspection on the part of DC Smith as retirement approaches. Loose ends to tidy up. A relationship to be explored. Perhaps a trip to Ireland. Endings and beginnings. 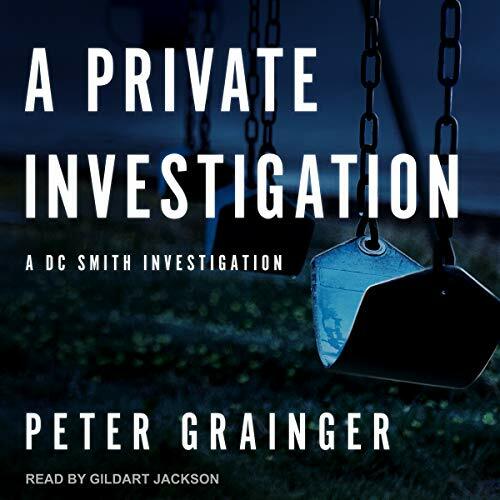 As always, Peter Grainger brings Smith into your world, or let's you enter his. DC Smith, so complex but so straightforward. There are no surprises in character, DC Smith is true throughout. Peter Grainger has developed this character so thoroughly he seems like someone I know, or want to know, wish I knew. Irony, satire, humor, loyal - there are so many great adjectives to describe him. Read it. You really must read it. Please don't let it be the end! Brilliant series. Hope this isn't the end. As usual, Gildart Jackson was brilliant. Maybe the only time I've cried at the end of a book. Grainger is a beautiful writer. I enjoyed the story, and the narrator was suburb. I will definitely listen to more of his works. Peter Grainger, Gildart Jackson and the venerable DC Smith are a first class combination. 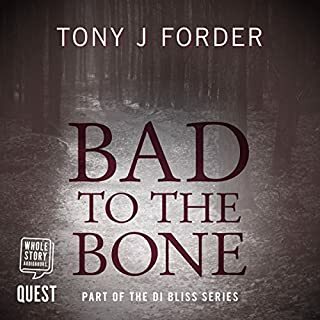 With a laconic style, not unlike DC Smith himself, Peter Grainger consistently produces enthralling tales that keep the reader interested to the last page. While there are a select few who may be the equal of Grainger and Jackson there are no better! Has DC Smith gone to meet his maker? I have soooo enjoyed this series. Smith is such an engaging character with his sharp wit, wry humor, and astute sense of observation and assessment. It makes sense that he surrounds himself with equally bright, clever, and hardworking professionals. This brings his story full circle; the narrator takes us to the very brink and we gladly go along. But oh that ending... 8f you're a fan, this one is not to be missed. Love DC. Grainger brilliant as always. The voice the narrator gives to DC is perfect. My fingers are crossed that DC will survive and get on with his life with Jo. This series should be a best seller. Excellent book & well read. I do hope it's not the last in the series! 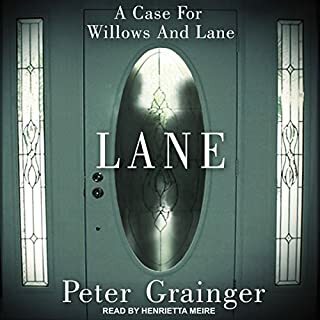 I have loved this series of books by Peter Grainger. I shall miss the sarcastic wit of the main character, DC Smith. Gildart Jackson is an exceptionally good reader, he really brought the characters to life. Last of a brilliant series. After reading the first in the DC Smith series, I read the rest one after another, so enjoyable were they. The characters are so beautifully written, DC's team is a well rounded bunch, and the whole series is one I shall miss, though shall be listening to again. Love the narrator, too, he is so perfectly suited as the voice of DC (and the others in his team). 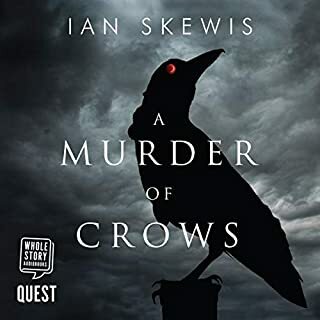 I like the fact that these are not full of blood and body parts as so many other detective mysteries are these days, it's like a ghastly competition for the goriest. Smith knows he is an anachronism in today's police force, but doesn't care, he knows his thoughtful methods work, and he is adept at catching the wrongdoers. Thank you, Peter Grainger, for these delightfully written books, it's been a pleasure to have known DC.